When you start making dining reservations for your Disney trip do you include any "Character dining experiences" on your itinerary? If so, where are your favorites? Do they include the Crystal Palace in MK? Cinderella's Castle? Have you been lucky enough to get in at Be Our Guest? We actually prefer character dining that is outside of the park. For resort dining, you probably are thinking of the big three along the monorail line: Chef Mickey's, O'hana, and 1900 Park Fare, and then over at the Beach Club you have Cape May. One Character Dining experience that often gets overlooked is Garden Grove Café at the Swan Resort. The Swan and Dolphin resort is just a short walk from the Boardwalk and is definitely worth a visit to try out one of the many restaurants. you are coming from any of these resorts, you will enter the double doors in the back and Garden Grove will be to your right. *No Reservations are needed for Garden Grove. *The theme of Garden Grove is "Central Park". It is so cute with it's big trees and park lights. It is covered in a big dome that allows for lots of natural light ( which you can tell from my picture). I believe I even saw a bird flying around up top. 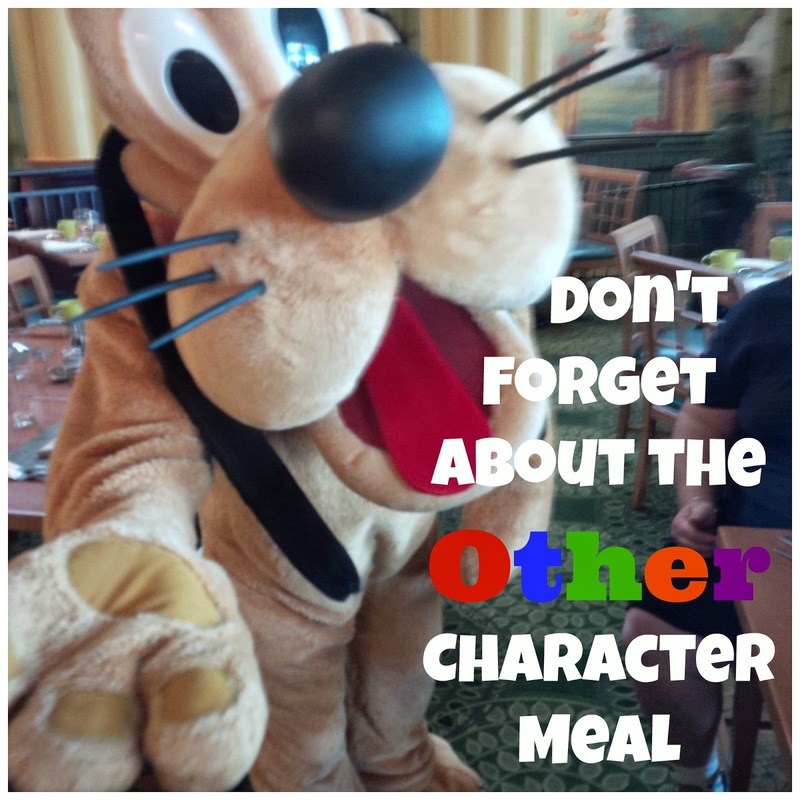 *Character dining for breakfast is only available on Saturday and Sunday. We went on Saturday and surprisingly it wasn't packed. * Two characters visited during our time there. They were Goofy and Pluto. *Character dining is also available for week night dinners. *GREAT selection of hot and cold foods. Really, this was a fabulous buffet. 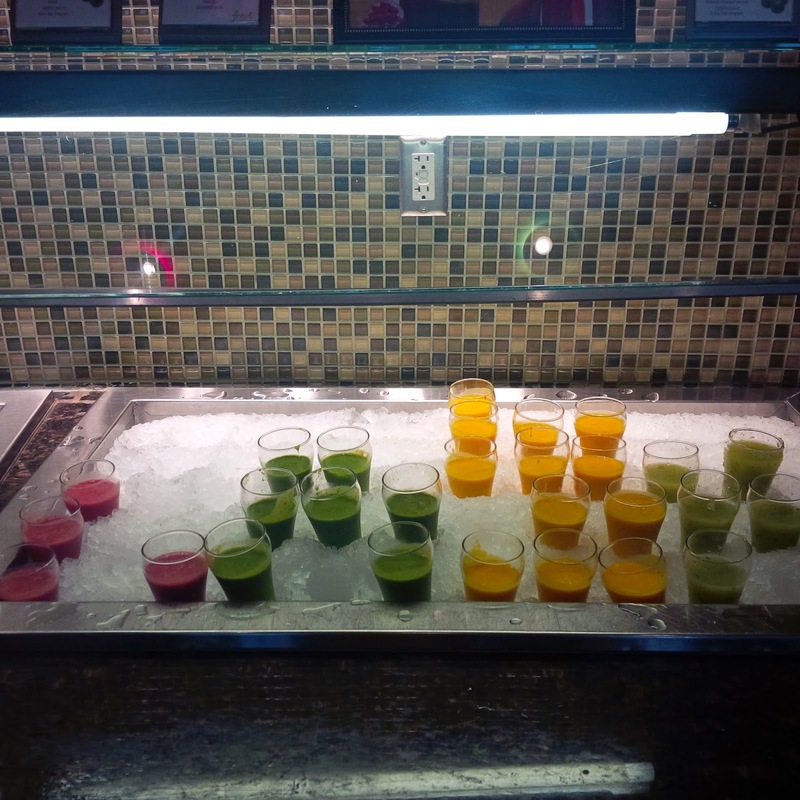 I loved the smoothie selection and had one of each kind. *This Character buffet was only $24 which is kind of a bargain when it comes to character meals. I will admit that you do only get to see two characters, but for the amount of food and the fun atmosphere, it was totally worth it. Have you ever been to Garden Grove Café? Have you been to any restaurants at the Swan or Dolphin? That is a great deal for a character breakfast! I've got reservations at Ohana for my upcoming trip, but for dinner. Not sure if the character's come around at dinner or not? Stacie, the characters only do breakfast at O'Hana. Enjoy dinner there! We really enjoy it. We did it after the Haunted trail 5K and it was a great decision! We've never even been over to S&D. We really do need to make the trip at some point. I've heard good things about multiple restaurants in both. $24 for a character meal (even with 2 characters) is a bargin at WDW! Yea, I think it might be the cheapest Character meal on property! Even as adults they are still fun! We've eaten at the Italian restaurant one time. We were in early so the place was quiet, which was nice. 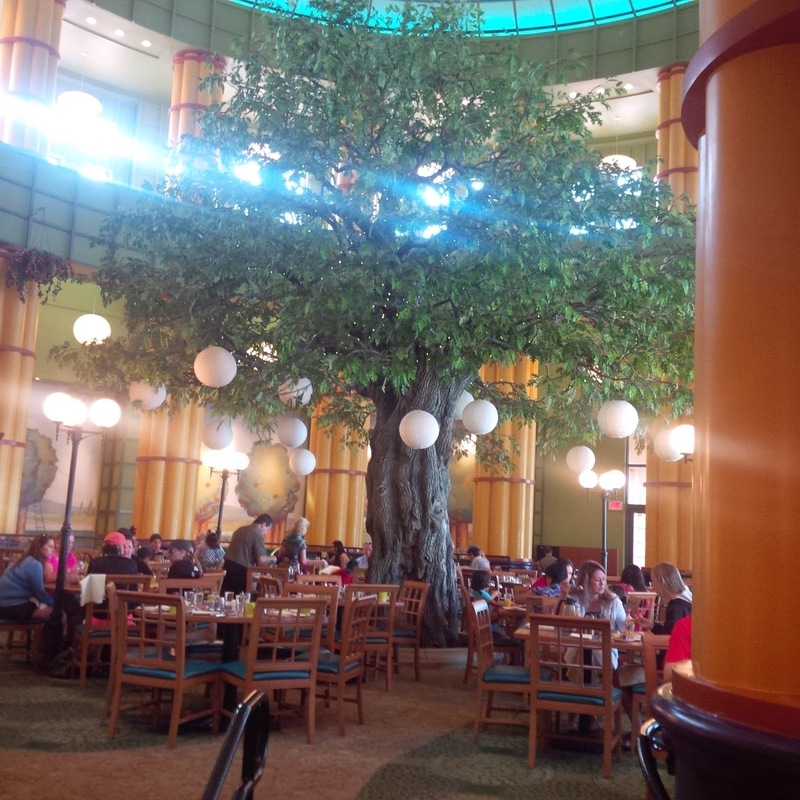 They really had some nice restaurants at the Swan and Dolphin. Very impressive! We ate breakfast here on one of the non character days. I was really impressed with the food quality and selections. I agree, the food was excellent! 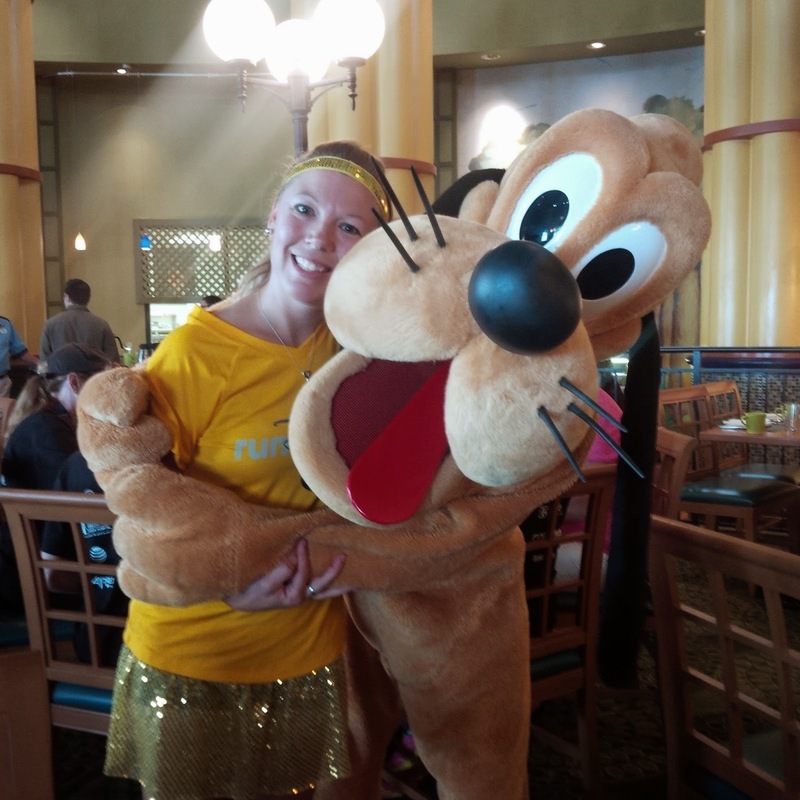 The last time I went to a character breakfast was probably when I was 5, so I have no idea what restaurant it was. I do know that it was somewhere in Disneyland - I still haven't been to Disneyworld, though I'm on the right coast for it now! I'll need to start looking into the restaurants at Disneyland too! Awwh, I would love to have breakfast with a Disney character. What a fun way to start the day! 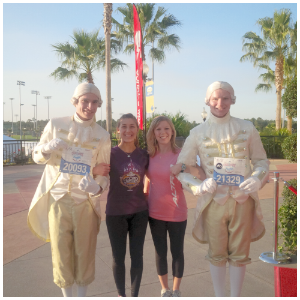 We had already been up for a few hours and had ran a race before we went to eat! It was a great place to just relax and enjoy! A lot of us tend to forget about the Swan and Dolphin resorts since they are not "technically" full on Disney resorts. But they are actually older than many of the official resorts and have many hidden gems like this one. 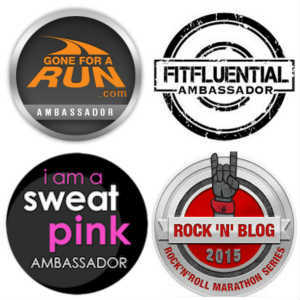 Definitely worth checking out and the price is awesome. Great info to have. Yes, I agree that the S and D do get forgotten about but they have SO much to offer. I would not hesitate to stay there again on a future visit. I am going to add this to the list of possible restaurants for WDW Marathon weekend. I am so behind on the planning that something nice that doesn't take reservations may be what I need. OMG it's in like 3 weeks!! So unprepared. I am getting a little nervous myself. I would definitely visit the Swan and Dolphin if you can. I had no idea that the Swan had a character breakfast. Those smoothies look delicious and the inside of the restaurant looks really cute! I actually took a picture of the different flavors and what they were suppose to help with ( relaxation, energizing, etc) but I couldn't find it. I've definitely found at Disney parks that buffets are the best financial decision -- you get so much bang for your buck! Also it's great that this place doesn't take reservations. People need the option to make game-time decisions about their meals! I hardly ever get my monies worth out of buffet meals but this one was worth it just for the selection and the ambiance! Sounds like a great stop! I love going outside the parks for food. So many of the resort restaurants are so good. I did not know about this one and it looks cool. My only experience with the Swan and Dolphin is one trip when I was younger we stayed at the Dolphin when my dad had a business conference that we all tagged along on. I remember the pools out back being really cool and an ice cream parlor where we got a gigantic sundae and all shared. Never been to any of those.... but I'd love any of the characters. Pluto - such a cute picture. We generally don't do character meals, but this one sounds pretty good. Nice! I may have to drop by Disneyland next March...sounds fun! So fun. When I was at Disney, I was so mad at myself for not getting on character photo or hug. WE did this once and will never again. the night we went it was slow but we only saw our server twice entire meal. buffet was lacking in selections.